It’s hard for me to believe, but next Thursday, May 15th, will mark the first anniversary of the passing of my dear wife, Mesa Co-director, and Spiritual Twin, Kate Silberberg, at the end of her brave journey with pancreatic cancer. It seems impossible that it could already be that long, or that I could have endured it as I have. I know that for years to come this singular day of the year will be a potent benchmark for me, bringing up fond memories tinged with sorrow. Before I know it, it will be two, three, and four years since Kate went Home. Up to now I have merely counted in hours, days, and months. In their concern, people have told me what passes for common wisdom; that “the first year is the hardest,” or to “wait a year before you make any big changes”. The period of one earth cycle around the sun seems to be regarded as a magic number when it comes to the lifting of grief, and I hope it will be a shift for me. In some cultures, a year is considered the proper length of time to grieve the loss of a loved one, at the end of which it’s time to move on with the business of living. Aside from the calendar, it seems a bit arbitrary to me, yet the passage of that bundle of time has allowed my wounds to heal and pain to fade. I’ve come four seasons and full circle around the Medicine Wheel. It’s been over twenty years since I reached that point after my first wife’s passing, and not only has my experience of her first anniversary slowly faded from my memory, but by now the exact date of her passing as well. I know that someday that will happen with the 15th of May and I will no longer associate Nature’s spring awakening with Kate’s painful transformation. For now it will be a milestone, but I’ve sensed it as an approaching energy doorway and healing opportunity as well. In a similar way to how every year near the time of my birthday I get a blast of inspirational energy from my soul, (I noticed this for years before I read that it’s common.) curious and uplifting energies have been pouring through from Creation as I find myself just over a week away from Kate’s first annual. This may be part and parcel of the depth of our Twin soul connection and the mystery of the Beyond the Beyond where she still sleeps, help from my Higher Self, or a direct downloading from Spirit. Much as I’d like to, I have not yet heard from her, but evidence abounds that something is afoot. In recent days I had a dream of her dying without seeing her there. Within the dream I fell asleep and missed the moment of her passing. I was still disappointed when I woke up at 4:44. That day while working in the yard I noticed that the first hummingbirds had returned here at home. I put the feeders up right away for her hungry totemic friends who herald the joy of spring’s awakening. She loved them. In contrast in more than wingspan is that turkey vulture who’s been roosting at the edge of my yard of late that Kate’s beloved crows periodically chase away. Vultures clear away the dead so that new life may spring forth. Meanwhile, something big and as yet unseen has killed both my neighbor’s chicken and a long resident groundhog in my yard. It’s all happening only now. Just yesterday, after more than a year of picking up occasional takeout without my constant companion by my side, the proprietor of the local Chinese restaurant finally asked me where Kate was. Through her broken English I determined that she thought we had split up. (“Where your wife? You no talk? You no talk?”) After so long. why did she notice today, I wondered? This prompted “the explanation”; she was horrified, and I, once again, reminded. I have repeated the story so many times so many different ways in the last year, knowing full well there are many more recitations and reminders to come. Last weekend I just so happened to choose to watch a movie (Odd Thomas, based on a Dean Koontz novel about a psychic.) with a surprise ending where the hero’s lovely, devoted, “we’ll-be-together-‘til-the-end-of-time” soul mate turns out to have actually died in the big shoot-out scene. He’d been lovingly celebrating his victory over the bad guys with her disembodied spirit because he could see the departed. I never saw it coming until his friend the chief of police told him he had to let her go and move on. Only then did the bullet holes appear. “Odd” then bravely steps off to live the rest of his life until they will be reunited in the Spirit World. I suppose I needed a good cry, but the timing of my innocent viewing choice was not lost on me. For in a way I have crossed over too, bridging one year since the bedrock of the life I knew crumbled beneath my feet. I’ve managed to accomplish a certain amount of what needs to be done to fulfill my promise to Kate to “clean up the mess;” her estate is settled, and I have made a dent in cleaning up and clearing out both at home and at The Mesa. My new life without her has not yet taken real form, but I am earnestly readying for it. Thankfully, I have also experienced a lot of amazing personal growth, lucky strokes of awareness, new insight, and healing in the last couple of weeks– right on the heels of the recent Grand Cardinal Cross alignment (Uranus, Jupiter, Mars, and Pluto in their Cardinal signs of Aries, Cancer, Libra and Capricorn respectively) that peaked on April 23rd. That timing was not, in my mind, purely coincidental either; that Four Directions configuration of planets adding energy of transformation to the life changes I was already moving through as my one year mark drew nigh. Approaching 365 amazing days since Kate’s passing now, I continue to learn about the mechanics of stillness and the oft resultant loneliness, recognizing that it was my unconscious expectation that it would turn into extended loneliness and extended suffering that sometimes made me feel lost. The beautiful lesson I recognized just today was that there is always Love tucked away within any suffering, if one is able to see. This is representative of the seed of Light within the darkness, and Yin within Yang. Surely there was great Love in Kate’s suffering. I was witness to that blessing. I have also borne witness to how a number of you have suffered from Kate’s ordeal and the vacuum of her absence. I know she was a light in the lives of many as were the now curtailed events and activities at The Mesa. I have heard from a few who miss both dearly, and recognize that it has kept a lot of people from checking up on me. I am a painful reminder of what they too, have lost. This I understand, but have missed their fellowship and support. I am also pleased to announce the opening of friend of the Mesa, Peter Shefler’s, brand new The Four Directions center for art and healing in the Gibsonia area on the weekend of May 16-18. (See listing, also below.) I’ll be there on all three days, continuing my service in a new location by speaking about Energy Healing on Saturday and signing in Lakota for ceremony on Sunday. I hope you can join in the fun. 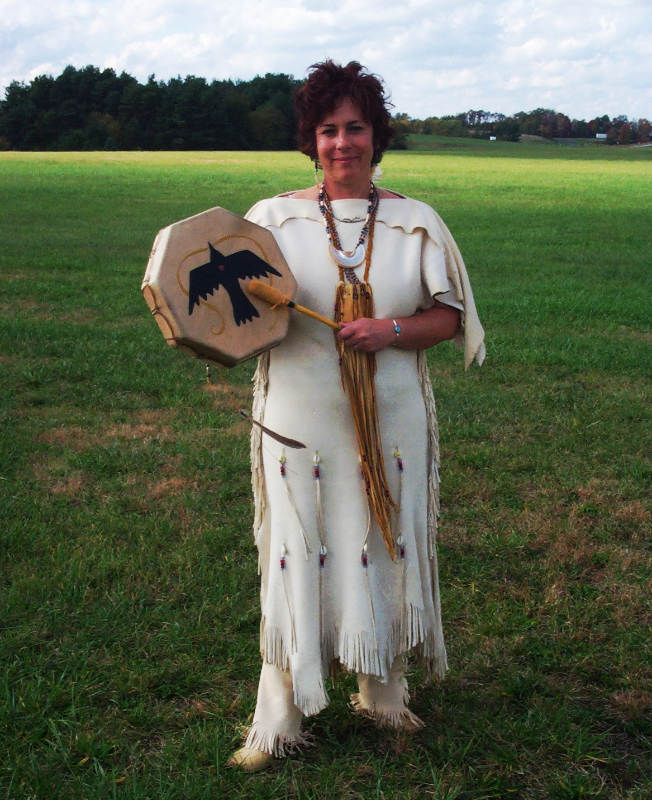 This entry was posted in Healing From Grief and Loss and tagged first year of loss, Four Directions, hummingbird, Kate Silberberg, loneliness, Medicine Wheel, Odd Thomas, pancreatic cancer, suffering, talking circle, Twin Flame spirits, vulture. Bookmark the permalink.